Exhale. Press hands, particularly the mounds of your index fingers, into the earth, hugging forearms toward each other and spiraling your biceps forward. Elbow creases also move forward. Press into your toes, keeping legs straight and strong, and shift more weight into your hands. Keep head in line with spine. Begin to slowly lower down, drawing lower belly up and in, lengthening tail bone toward floor. Imagine that you are pressing your entire back body up toward the sky as you lower. Elbows stay close to your body, pointing straight back. Pause when your upper arm bones are near parallel to the earth, shoulders even with or slightly higher than elbows. Don’t let your shoulders dive down past your elbows. If you lose plank shape in the move, and body becomes more hammock-like, or if your shoulders creep up to your ears, try again with knees lowered to floor, maintaining plank shape between knees and head. 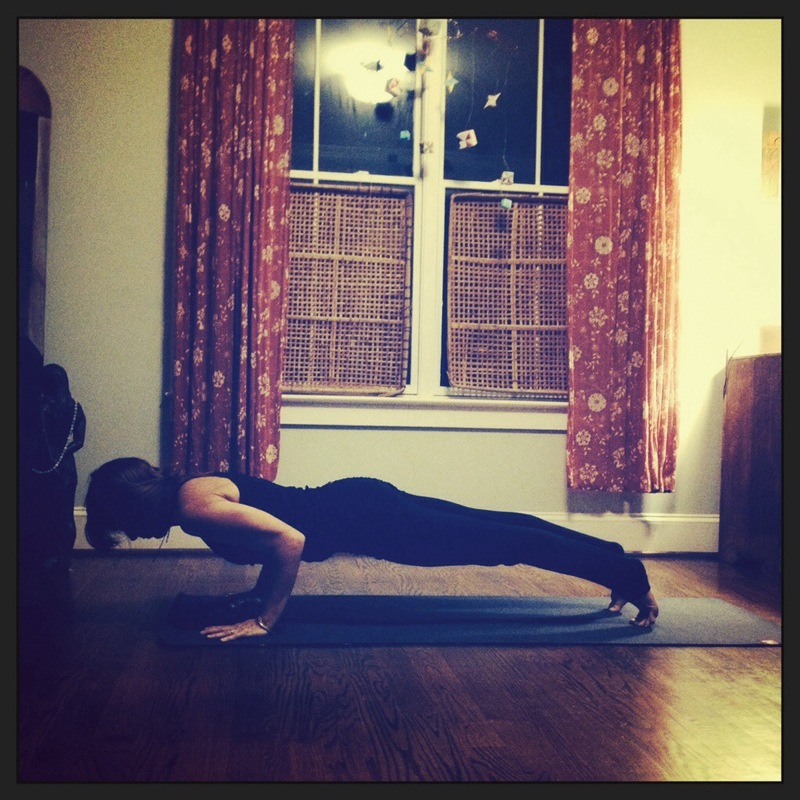 Chaturanga dandasana. Four-limbed staff pose.